One aspect of makeup that many disagree on is whether drugstore products perform just as well as more expensive ones. Some say that price doesn't always matter, and others are more likely to trust higher-end products. I'm on the fence about the issue. Usually I find that higher-end products perform better, but I also have plenty of drugstore favorites that compete with the other products in my collection. For this series I wanted to compare top of the line, pricey products with the least expensive products that I own. There is a huge price difference between my most expensive blush and my least expensive, but is there just as big of a difference in terms of quality? My most expensive blush is the beautiful Hourglass Ambient Lighting blush in the shade Mood Exposure, which costs $38. It's a mauvey, plum-toned blush with a beautiful sheen to it. The packaging is luxe and heavy, the product applies like a dream, and all in all I think this is one expensive product that is worth the money. The Ambient Lighting blushes come in a variety of shades. If they all perform the way Mood Exposure does, then they are a safe bet! The Hourglass formula is baked, very soft, and pigmented. It blends out well but you can go overboard with them. I have found that the color lasts all night and doesn't emphasize texture or dryness. If you're willing to spend the money, I don't think you'll be disappointed with the blush, however there are cheaper options available. The Milani baked blushes, for example, are a good alternative! As for my cheapest blush, that would be the Essence Satin Touch. The shade range is very limited. At the moment there are only two shades. I only have one of them, Satin Love, which is a neutral matte pink. It would work for most light and medium skin tones, but Satin Coral might be a better option. I hope that Essence expands this shade range because it truly is a nice formula! The Satin Touch blushes don't compare to my Hourglass one, but it is very soft and a great value at only around $3--$35 less than the Hourglass Ambient Lighting blushes. You don't get as much product as the Hourglass ones, but it takes so long to finish a blush that trust me, it's not a big issue. 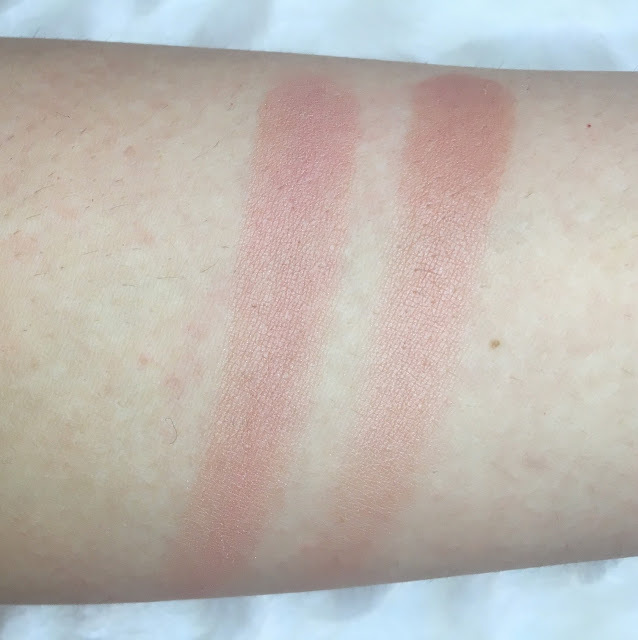 The blush is soft, not too powdery, and blends nicely. Like the Hourglass one, you can go overboard with it. The finish is matte, but a very velvety, soft matte rather than a drying one. The packaging is cheap and plastic, easy to break, but even if you have to repurchase it a few times it doesn't reach the price of many high-end brands. If you need a new blush, I think you would likely be happy with either of these blushes. The Hourglass one has a larger shade range and you get more product, but the Essence ones are so affordable that it would be worthwhile to check them out before immediately going for the Ambient Lighting line. In this case, there is a difference between my most expensive and least expensive blushes but it isn't a major one! It really goes to show that there are some great affordable products out there to rival the higher end ones at a percentage of the cost. What do you think of this series? 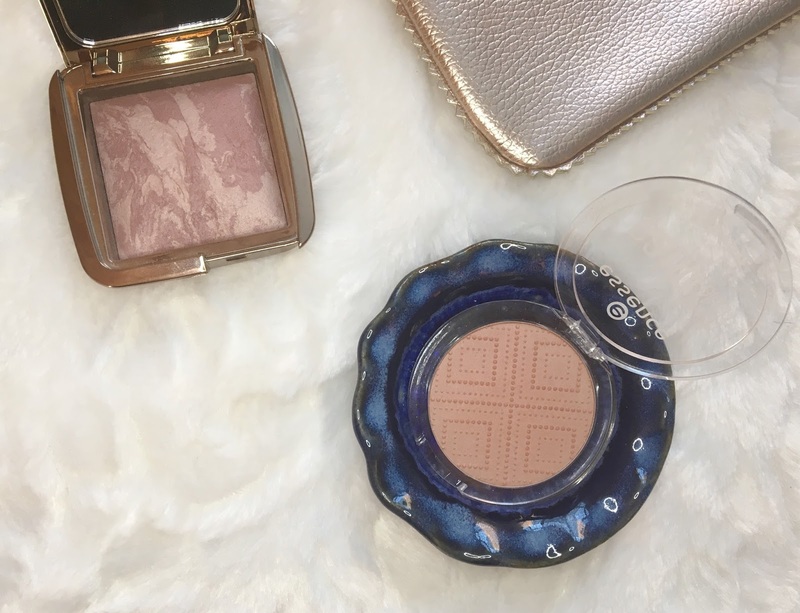 Do you tend to go for high-end or drugstore blushes? 8 comments on "Most Expensive vs. Least Expensive: Blush"
I haven't tried many high-end products but I think there is no comparison between high-end and drugstore quality wise, still, there are some affordable gems out there and Essence is a brand I always turn to when my budget is low. And their blushes are amazing! The Hourglass blushes look so luxurious! I need to get round to trying one. I would love to hear you write more about your most expensive vs least expensive products! I wish I could try the essence blushes but they are way too light for me! This is a great idea for a series! Both of the blushes look lovely, but I don't think I could justify spending $38 on a blush. I'm on the fence too, on the whole I would say there is an obvious hike in quality with a lot of 'high end' products. But with that said, some perform terribly and are a rip off, whilst there are some incredible drugstore options so I think it's often a mixed bag. I hope to see more of these most expensive-least expensive post, this is a good idea! Beauty Haul: Sephora, Ulta, and the Drugstore!